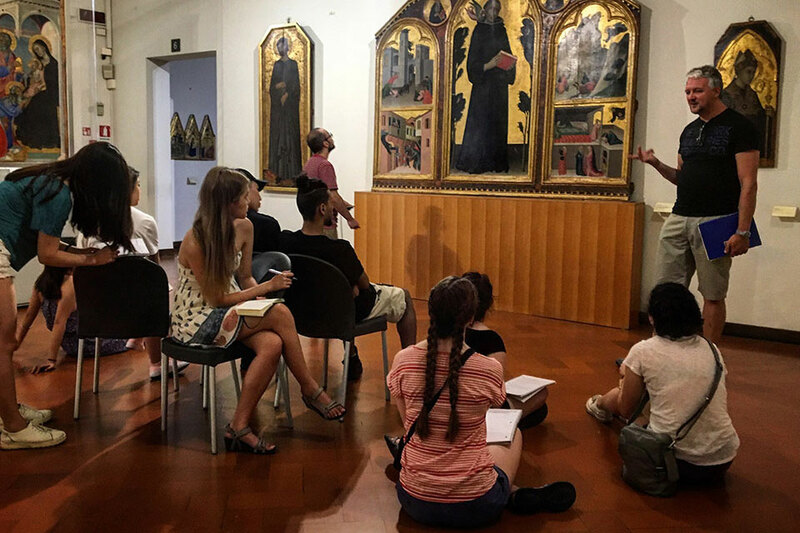 Brandeis in Siena is an intensive program where you will have art history and studio art courses four days a week for the full day. Cultural excursions on the remaining days of the week fill up the rest of the time. Over the course of the program, you will be exposed to a range of painting techniques, from traditional to the contemporary, and a breadth of Italian masterpieces from the Renaissance across Tuscany. In addition to the field trips of artistic significance, you will also be introduced to aspects of Italian cultural life through non-art related excursions. In the beginning of the program, there will be an onsite orientation that will help familiarize you to the unique setting of Siena, Italy and introduce you to basic aspects of Italian culture.